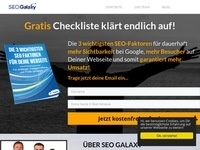 Germany's traffic expert number 1 published his secret strategies allow you to earn money on the internet? with or without your own website? Free Webinar Now! No Vergügungsprogramme, Paidmailer etc. .. When the user logs in, because he is paid for this is that not a valid registration! Any valid and free webinar registration is paid. - Duplicate registrations - Fake registrations - invalid e-mail addresses will not be reimbursed and will result in immediate exclusion and message adklick No incentivierter traffic.